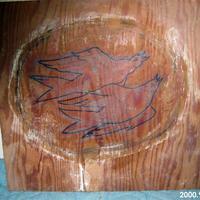 Sketch on wood of two birds. 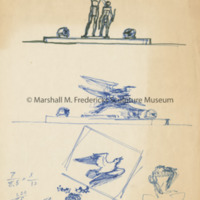 See 2000.182 for plaster model of this sketch. 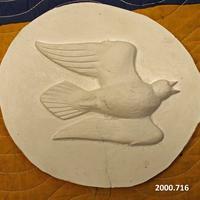 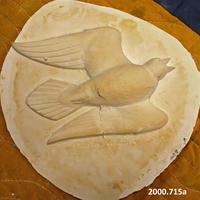 Relief of a blue bird in flight with beak open as if singing.